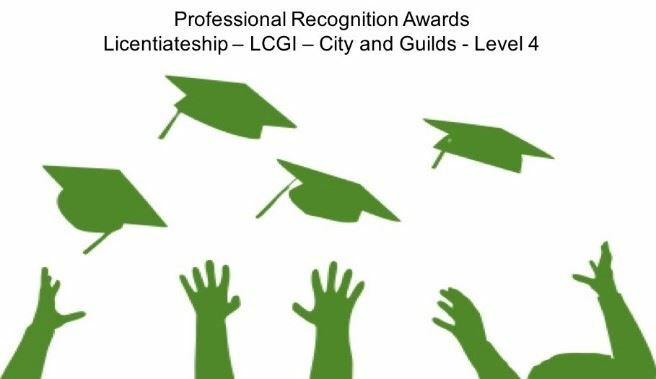 If you would like to continue your learning and add to your current skills and development – the City and Guilds Professional recognition awards are the next step for you. The awards are offered in industrial, business and professional fields. Successful learners will be awarded a City & Guilds Award in Professional Recognition at the appropriate level and you will be entitled to use the relevant post-nominal letters after your name. What are the professional recognition awards? · Comprehensive – the awards are offered in commercial and professional fields. There are no practical limitations on the areas of employment to which they may be related. · Progressive – there is a clear line of progression through from Level 4 to Level 7 through the standards. · Accessible – the awards are open to any candidate who meets the requirements and the standards. · Competence-based – the awards recognise the practical application of professional skills, knowledge and understanding in employment. They offer an employment-based route to higher level qualifications.